REMOVE THE RODENTS FROM THE GRILL- This is the hard part. The quickest yet most dangerous way to do this would be reaching in with THICK GLOVES to remove them manually. Other methods you can use if you don't want to risk a bite are setting traps for them, leaving the grill open overnight (so it no longer provides a shelter) or use a ultrasonic pest repeller to drive them out. DO NOT TRY TO BURN THEM ALIVE OR POISON THEM IN THE GRILL! It's never smart to poison a surface you use for cooking and if you light them one fire they may get out while on fire leading to even more of an issue for you. REMOVE ALL NESTING MATERIAL- This includes twigs, leaves, charcoal and anything else inside the grill. Make sure to wear gloves and a mask while doing this so not to get exposed to the rodent droppings. 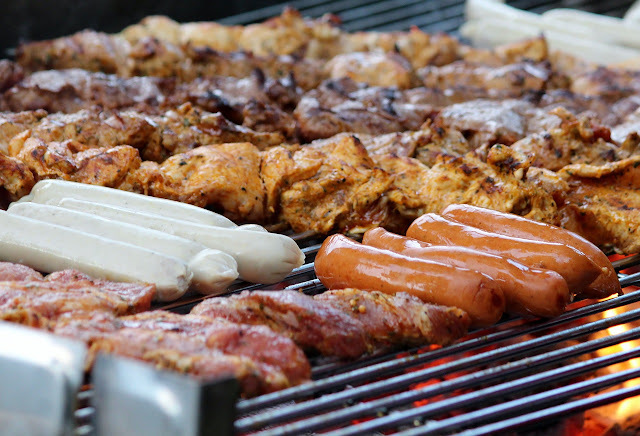 CLEAN THE GRILL THOROUGHLY- Clean the entire surface of your grill to remove any pheromones, urine, droppings, or bits of food that could draw the rats and mice back to the grill. After your done cleaning disinfect all of your tools and put the grill on a high burn for a few minutes to kill any leftover bacteria you couldn't get. TAKE PREVENTIVE MEASURES- Now that you have got rid of your unwelcome guests it’s time to make sure they never come back. The best way to prevent rodent nesting is to clean your grill or BBQ regularly (+Joe Filter can help with that!) Other ways to help keep these pests at bay are, block all access points into the BBQ using sheet metal and set up traps and repellent around your BBQ area. If you have a family pet be careful where you place your traps and be sure not to use any toxic material. If the problem persists call your local pest control service for further actions.